Hey, didn't you guys used to be the Triplets? That guy with the burst of speed and the magical stick? The one who scored twice? He looks familiar. Nikita Kucherov used to play like that? And the other guy? The little guy with the speed? 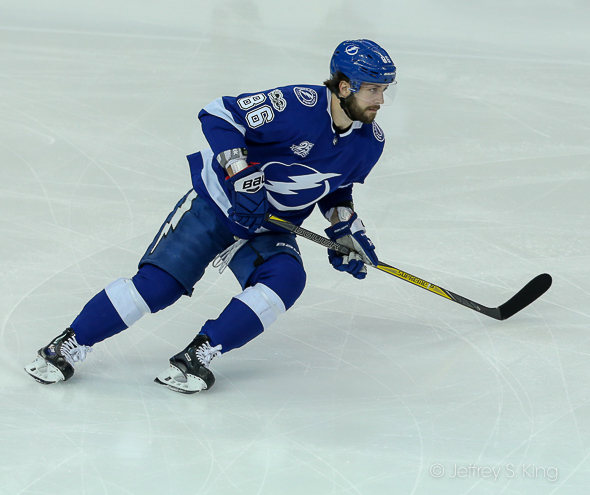 Didn't Tyler Johnson used to skate like that? And the third guy? The guy who makes the other two better? The guy who had two assists? Yeah, him. Doesn't he remind you of Ondrej Palat. Well, welcome back guys. And welcome back, winning. Lightning on top of the Atlantic Division of the NHL. Tampa Bay took 43 shots in the game, tied for the most in any game this season. 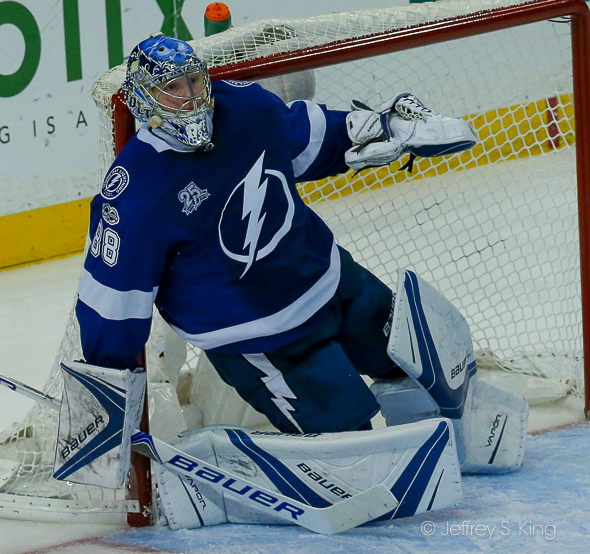 Lightning goaltender Andrei Vasilevskiy stopped 25-of-27 shots to improve to 17-4-1 on the season. Vasilevskiy's 17 wins are the most in the NHL.Vasilevskiy has allowed two goals or less in seven of his last nine games and 14 of his 22 starts overall. spurts, but we got away from what we’re good at. Johnson had gone 14 straight games without a goal. He had two against the Sharks. Johnson shrugged off snapping his scoreless streak. 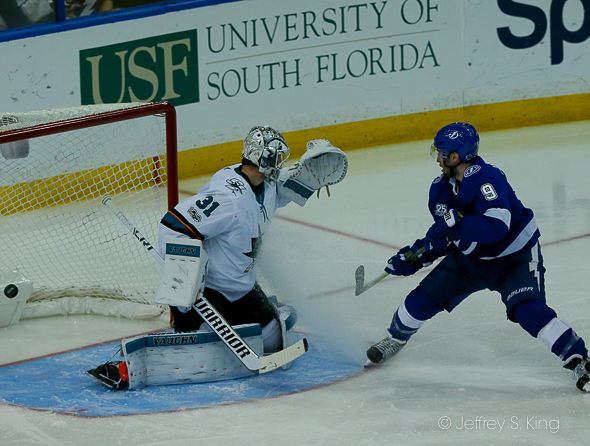 Kucherov had his third multi-goal game of the season. His 19 goals tie him with Washington's Alex Ovechkin for the league lead. 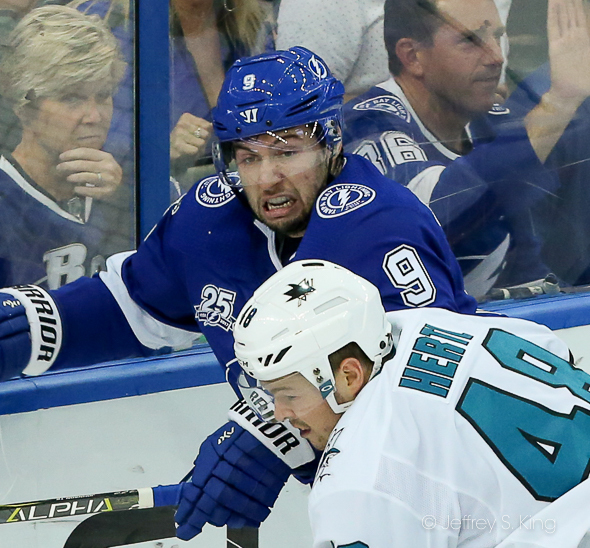 Kucherov said the switching of the lines didn't matter to him. 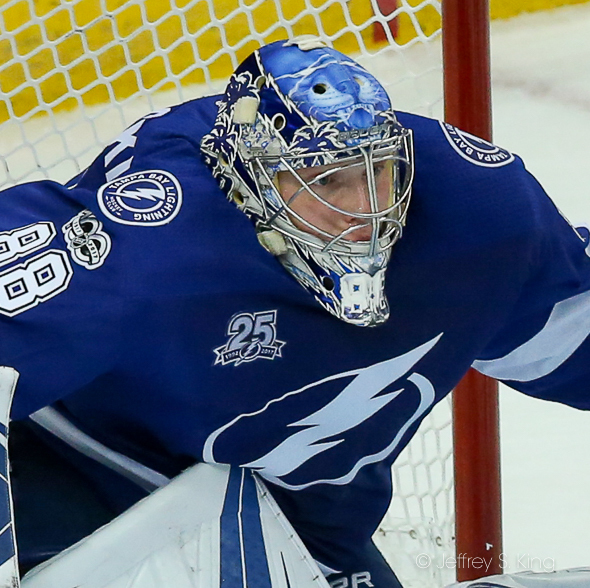 Tampa Bay continues its four-game home stand on Tuesday when its hosts the New York Islanders at Amalie Arena. It will be interesting to see how long Cooper goes before reuniting Stamkos and Kucherov. Those guys were so good together it seems like this separation will only be temporary. 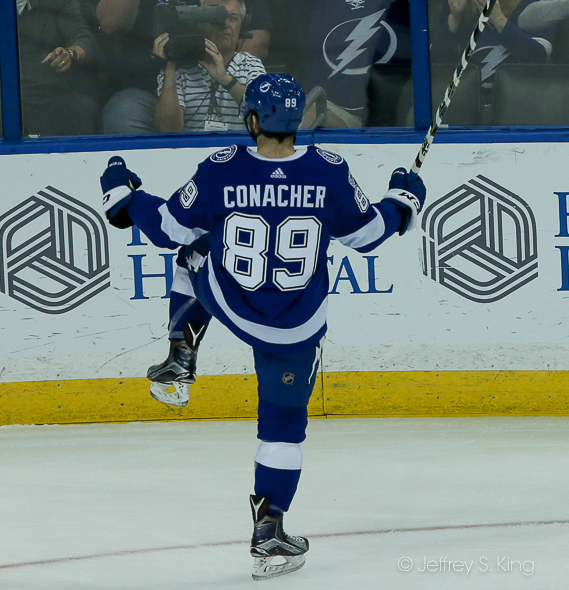 But the Lightning have so much offensive talent there are plenty of options to pair up the top lines. I completely agree. 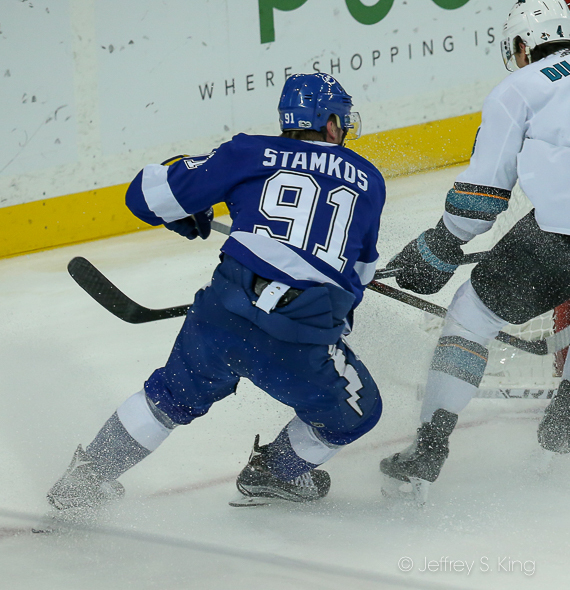 Stamkos is a great playmaker.